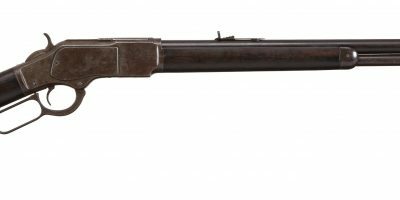 This rifle is a Winchester 1873, chambered in .22 Short. 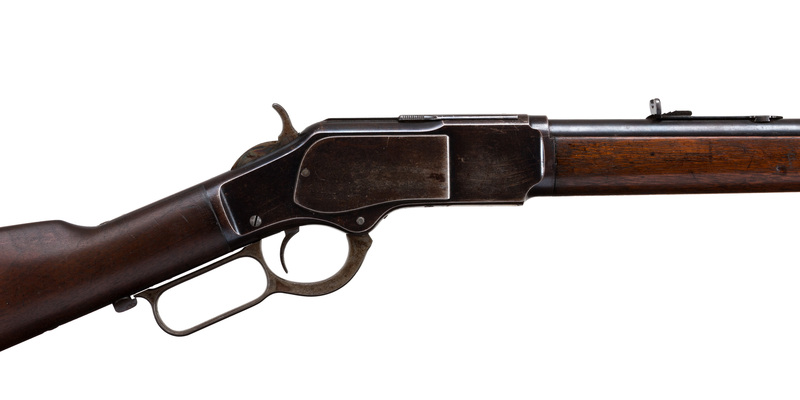 This antique Winchester is dated from 1890. Metal is in good condition, retaining 70-75% of original bluing with some scratches and dings. Shows 50% of original color casing on lever and hammer. 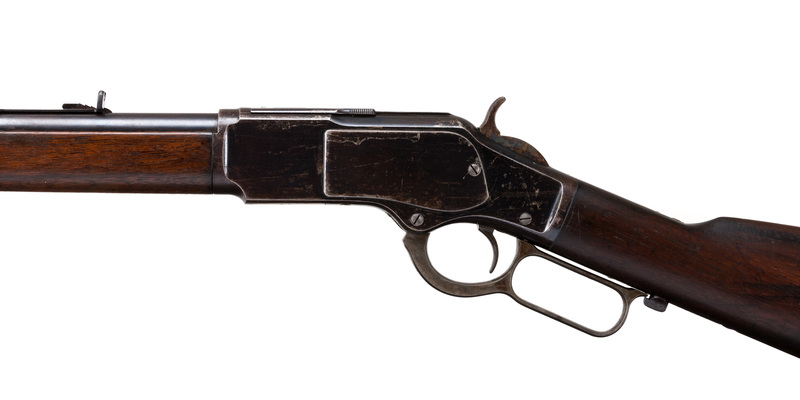 Wood is in good condition with minor dents, and retains some of its original finish. 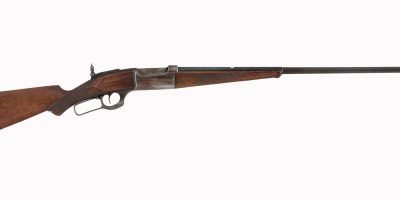 The 24″ round barrel has a good bore with minor pitting. 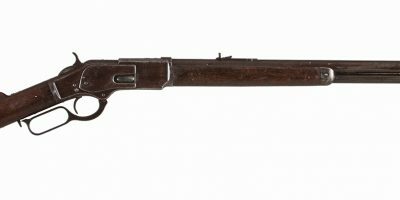 A good candidate for any antique Winchester lever action collection.